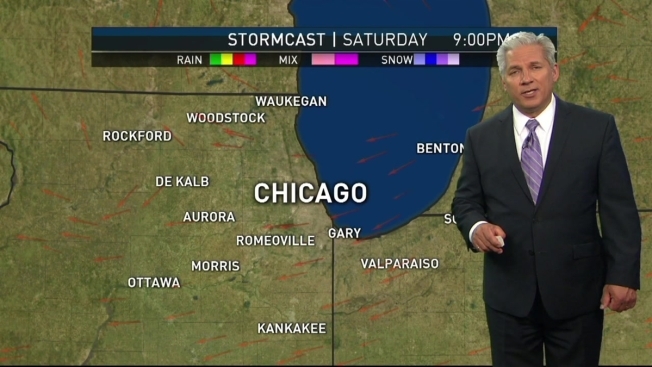 Pete Sack is tracking storms in the Chicago area. The potential for more thunderstorms has forced Naperville's Ribfest to temporarily close. The festival, which already has seen its fair share of inclement weather over the last two days, is closing as of 4:46 p.m., according to organizers. According to organizers, the event is scheduled to re-open around 6 p.m. Earlier Thursday, storms caused power outages for thousands in Cook and DuPage counties, where Severe Thunderstorm Warnings were issued earlier. The warnings were issued for southeastern DuPage County, northwestern Will County and south central Cook County until 2:30 p.m. and for Newton, Porter, Lake and Jasper counties in northwest Indiana until 4:15 p.m.
At least 7,200 Cook County residents and 2,500 DuPage County residents were without power following the burst of storms, according to ComEd. Rain and storms faded in much of the Chicago area soon after the first alert ended, continuing into northwest Indiana later in the afternoon. But another round could be possible heading into the afternoon rush hour. Heavy rain and damaging winds are possible with the storms, the strongest of which could also produce some hail, particularly along and south of Interstate 80. The storms are expected to end heading into Thursday evening. The stormy afternoon weather temporarily closed down Naperville's Ribfest once again, less than 24 hours after Fourth of July lightning and storms closed the park and forced it to reschedule fireworks to Thursday. "Welp. Fast moving storm has closed the park," Ribfest tweeted around 2 p.m. Thursday. "Volunteers should be headed north to NCHS. Hope to reopen soon." The venue re-opened just after 3 p.m. Pitbull was scheduled to perform at 8:30 p.m. with a fireworks show scheduled to take place at 10 p.m.